2 Bedroom / 2 Bath / 880 sq. ft. 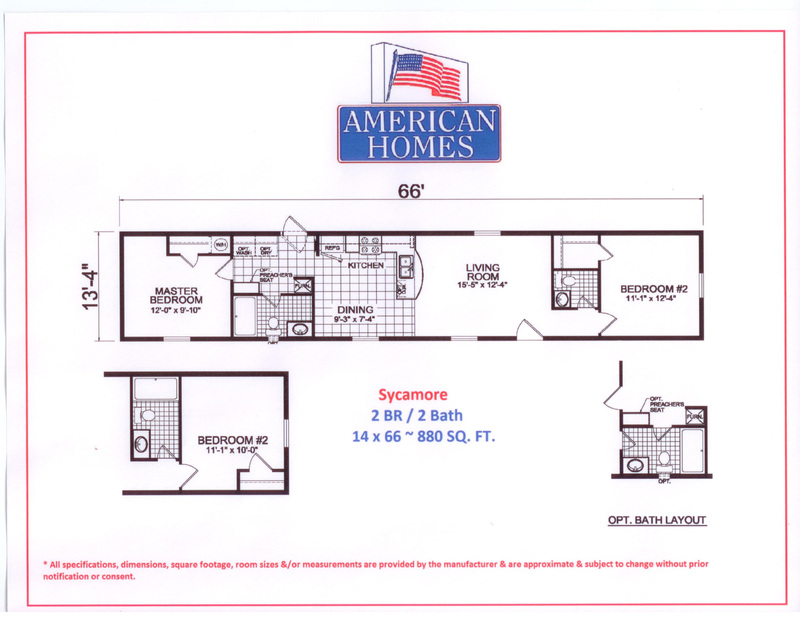 The 2 bedroom 2 bath Sycamore is ideal for an individual or small family. This inviting home features an open floor plan and a 1-2 person casual dining bar. The Sycamore is the down-sizer’s dream come true!